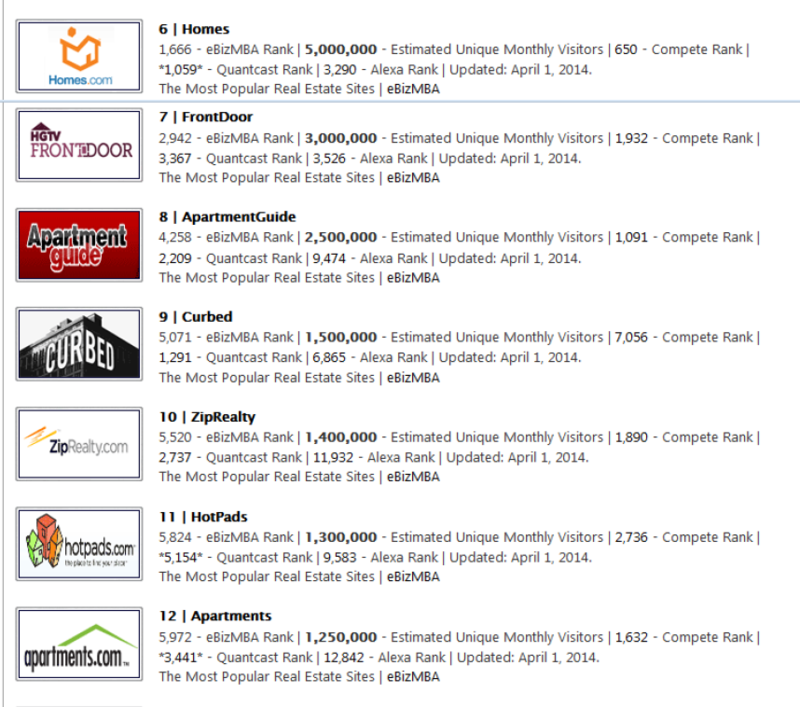 By far, the most popular and widely used consumer real estate website on the Internet is Realtor.com. In fact, home buyers spend 86% of the time they search online for a home at Realtor.com. 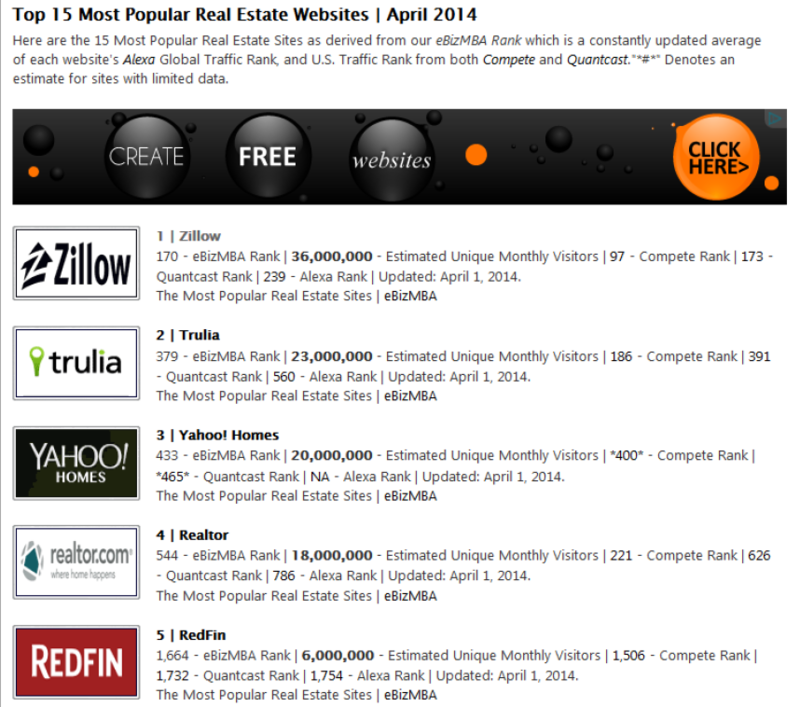 * Other major websites that have Real Estate related content are: RedFin.com, AOL.com, MSN.com, The Wall Street Journal Online, Netscape and Net Zero. Not only is it important for the seller of a home to ensure that there property is advertised on the Multiple Listing Service and these major websites, but that their home is featured with a detailed description of the property and its upgrades, and that it features multiple photos of the property to help set it apart from other listings on the websites. Realty Marketing Solutions believes whole-heartedly in the value of getting your listing on the important places on the internet. We employ a Search Engine Optimization specialist and every one of our listings receives a personal website with the address of the home as a domain name. Realty Marketing Solutions pays for a premium membership with Realtor.com to ensure that your home is prominently displayed on the site for buyers from all over the United States to see. The importance of Internet marketing when selling a home in today’s market cannot be over emphasized. So if you are considering selling residential or investment real estate, be sure that your real estate agent is Internet savvy and advertises your property prominently on major real estate websites in order to gain a competitive advantage in selling your home. * Score Media Metrix, May 2004 Time Searching on Comparable RE Aggregation Sites. We advertise on all the relevant top websites & additional regionally specific sites including the San Diego Union Tribune. 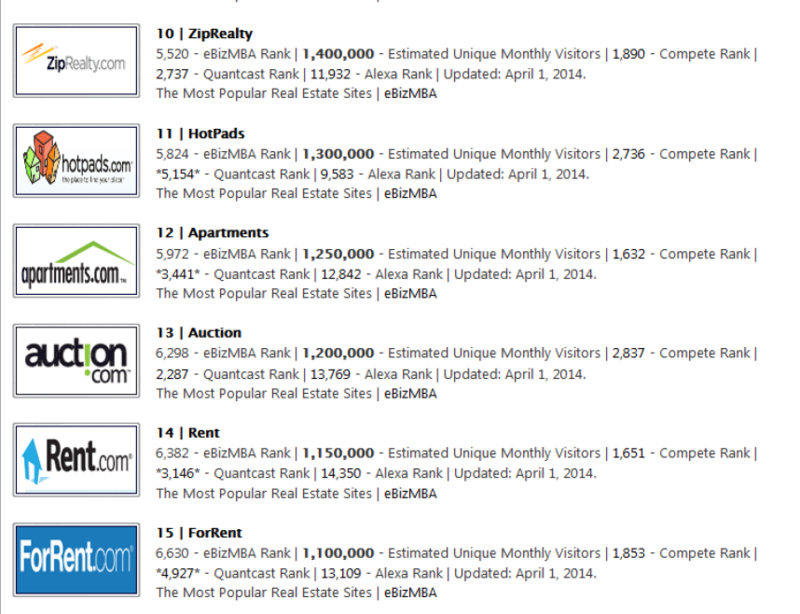 We also provide our listings with a personal property website to increase Google search rankings and accessibility.